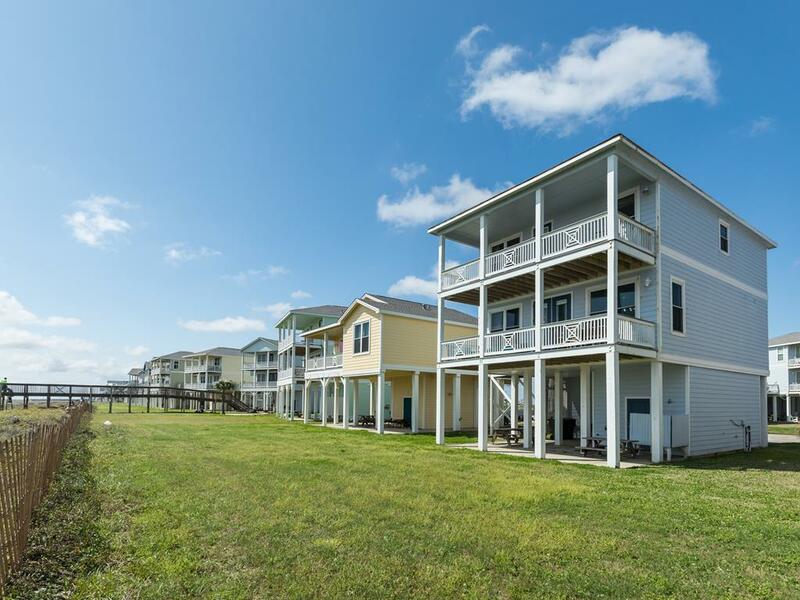 Beachfront Gulf views, 2 covered decks, open plan, and 2 neighborhood pools & hot tubs! This contemporary vacation rental is perfect for couples or families traveling together. The kitchen, living and dining areas are designed to allow conversation to flow and meals to be group affairs. 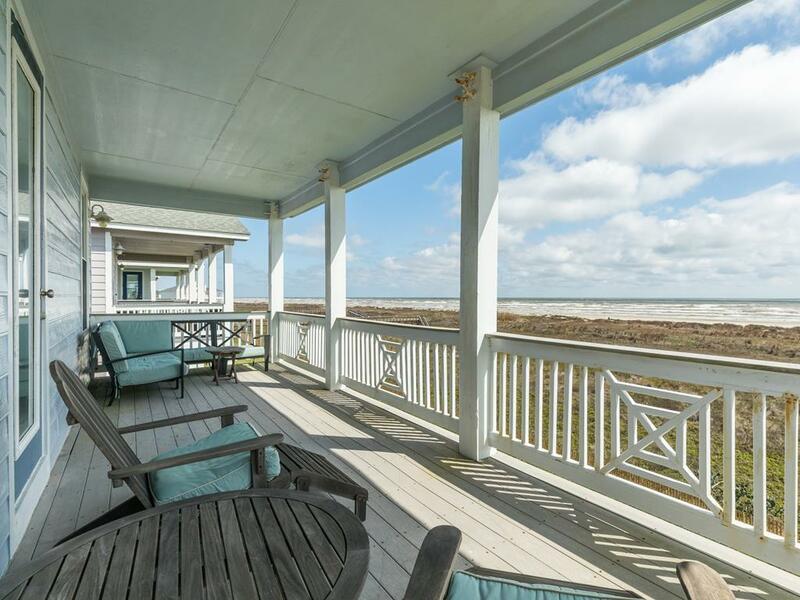 The Gulf views are excellent from either level of deck, the common area on the main level & the master suite upstairs. 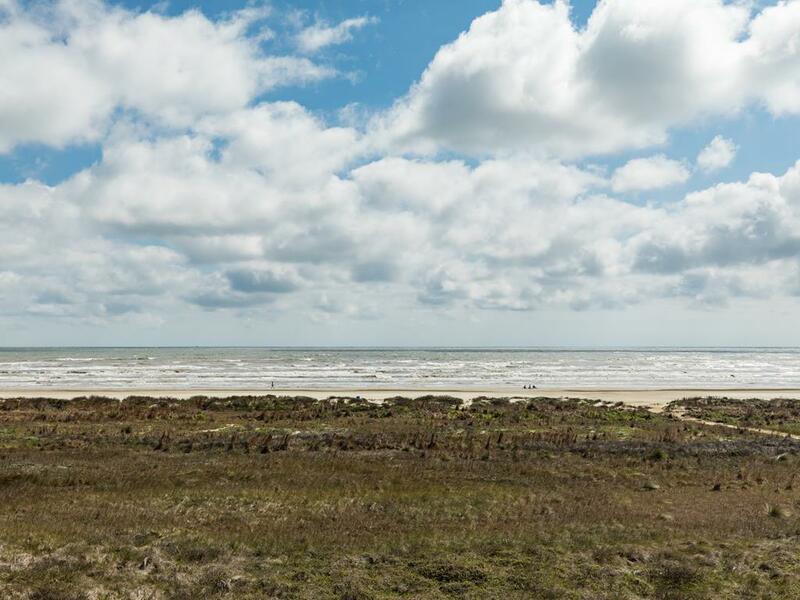 Plan to take advantage of the walking & cycling paths and miles of beaches! NOTES: There is no telephone service at this home. Great location on the beach with beautiful view. Lots of space for 10 people. Beautiful place with all the comforts of home! Away from the hustle and bustle of seawall blvd! Highly recommend this home. 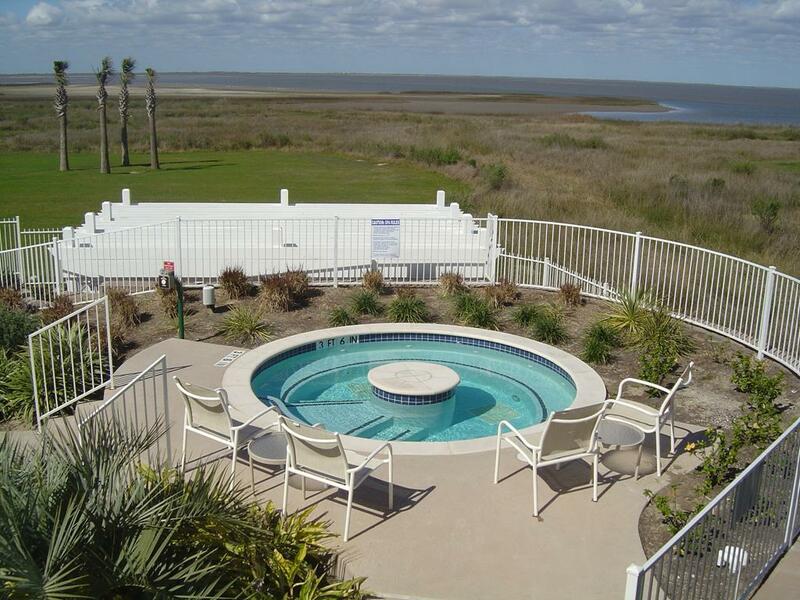 Two decks to enjoy the view and easy access to the beach. Very well furnished. A/C kept both floors cool and comfortable at all times. Kitchen was completely outfitted with everything from dishes to pots and pans. Very clean. We recommend this home. It has everything we needed. Great location. Very comfortable home. The property is great for large families. The view of the beach is wonderful. 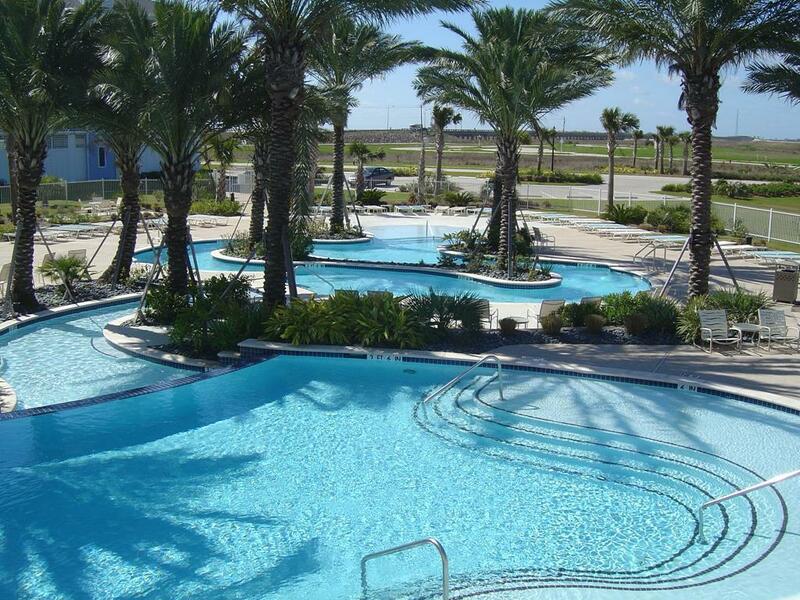 The swimming pools are a lot of fun, especially the one at the Condo's. This was a great house that met all our needs. The Pointe West subdivision is well maintained. We will probably stay here again. Wonderful 3-Day family holiday weekend; Ocean view from deck is amazing and location so convenient to enjoy the beach. Beach clean & not crowded. House has fully stocked kitchen dishes, glasses, pots & pans, utensils, small appliances..above & beyond. Very clean & very comfortable..would definitely request again. 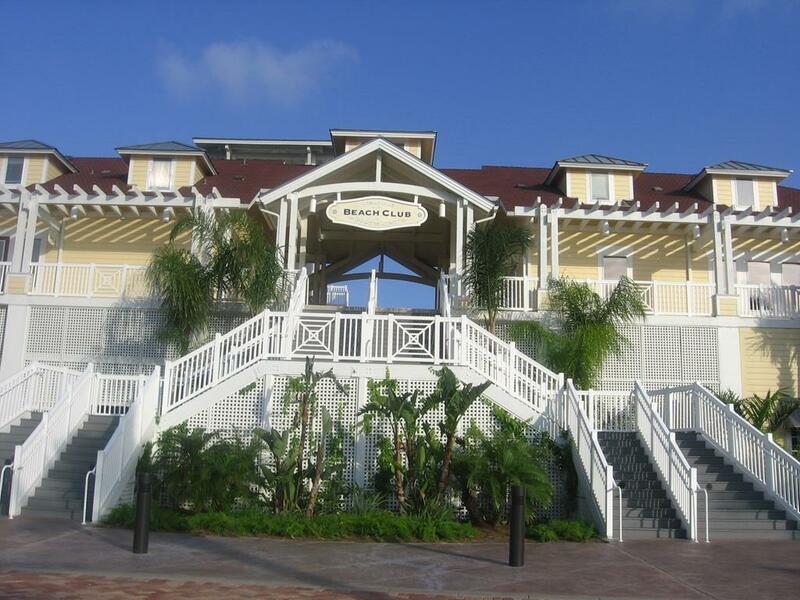 We enjoyed every minute of our stay, including additional options via the Pointe facilities. Wine Down had everything we needed ranging from the view, beach access, bedrooms, extra bathrooms, outdoor shower, kitchen appliances and supplies, etc. My compliments to the owner(s) and Sand 'N Sea. Very nice and comfy feeling. A true place to relax. Especially loved the fact that there were four full baths!! The Wine Down House is a wonderful property. 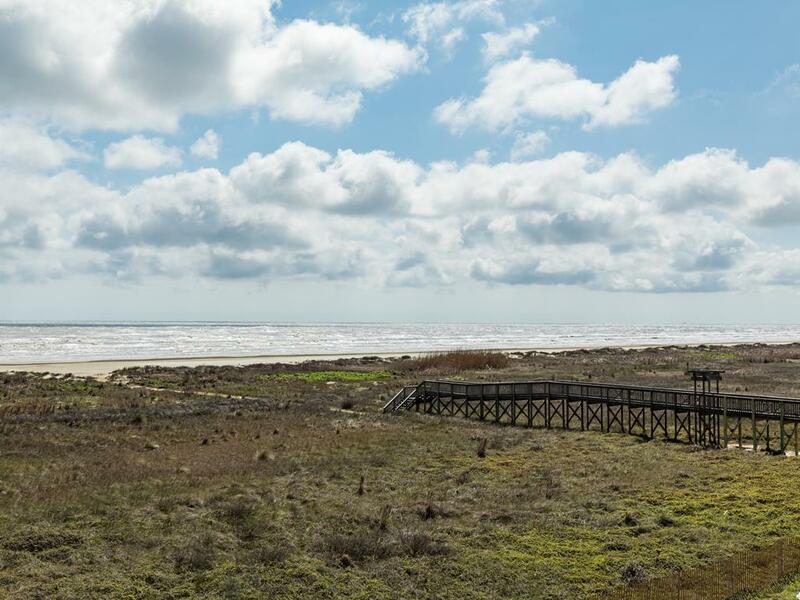 Just walk over the dunes on the boardwalk and you are on a pristine area of the beach. The 2 back decks were perfect for sitting and visiting and were safe for our child. Everything was very clean and the kitchen was very well equiped. You do need to bring Paper supplies, so be mindful of that. The whole family loved our stay at Wine Down. The house is beautiful. Comments from the family included "I could sit on this deck for the whole time we are here." and "I wish we could live here." "
Wine Down is a very good house for family's to enjoy. The four bedrooms and four baths really work well for a lot of people. Our family really enjoyed the two pools that are close to the house. They need a little maintenance and you have to pay $ 10.00 a person for anyone over three years old. The beach is easy to get to and was beautiful with no sea weed are jelly fish in site. We really enjoyed our stay and will be there next year. Had a fantastic time! Had everything we needed as far as kitchen was concerned. Plenty of room and beautiful views! Kids loved the pool and lazy river! Would rent again! Sand n sea properties is by far the best team of folks I have ever rented a home from! This is an excellent property. Great for a family with children everyone had there own space or you could be all together. Short walk to the beach and the views of the ocean were fabulous. House is fully equipped we carried way to much stuff, you only need food and clothes and beach toys. I would recommend this house to everyone. The beach was very nice on the west end of the island the seaweed was not a problem for us. We have rented the house for three years and love the location. The beach view from the porch is beautiful. The beach was cleaned of all seaweed and groomed. 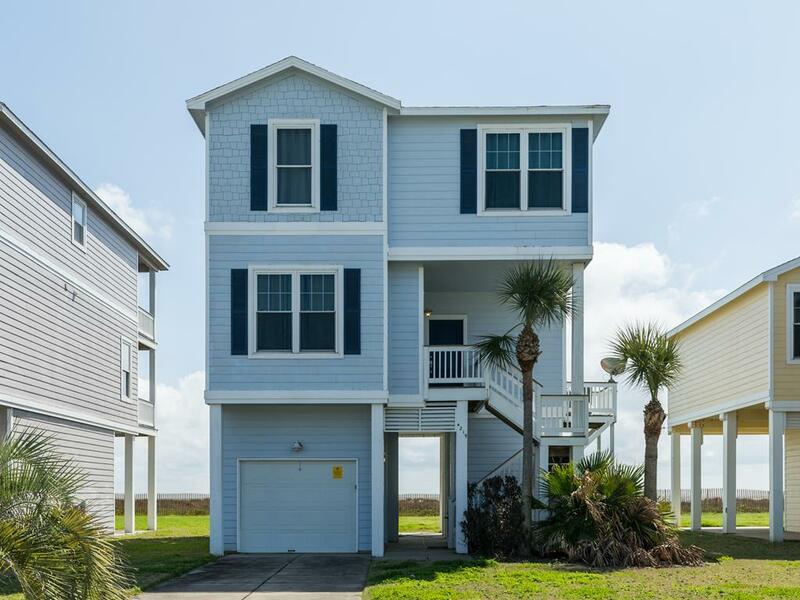 The four bedrooms and four baths are great for large family. The pools are great for young kids .The entire family enjoyed our week at the Wine Down. Very nice beach house and wonderful quiet beach! Fairly quick ride from Houston on 288! 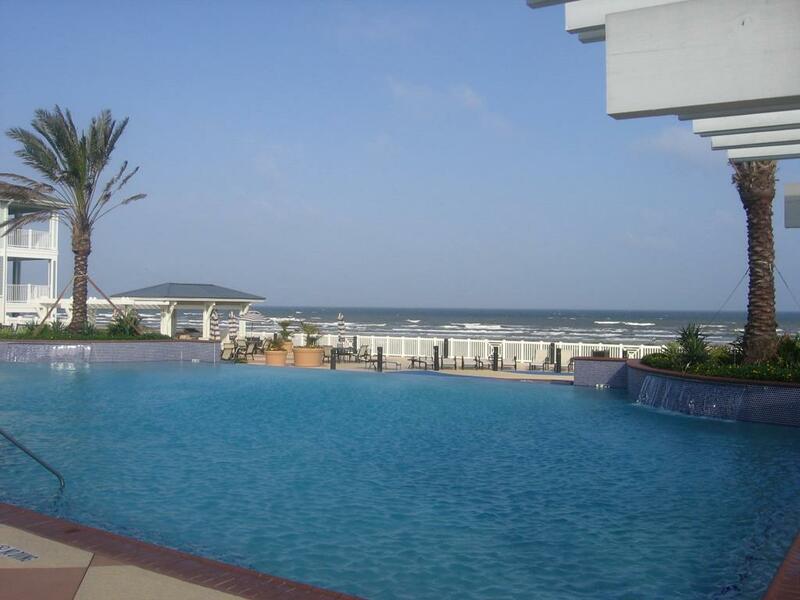 It is a tad far from Galveston if you want daily activities! 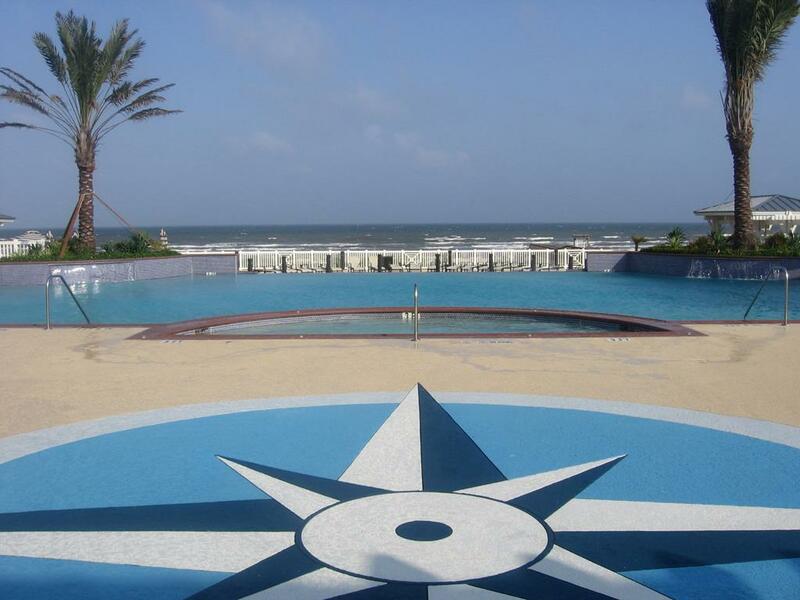 Great beach house,very comfortable ,2 balconies have the best view of the Gulf,had a fabulous time. Beautiful house with a great view! Very easy to get the beach. Very clean and family friendly area. Second year and it only gets better. House was spruced up from last year with some new furniture and flooring as well as some painting. Great decor and feel to the house, modern and up to date with great decorations, and the million dollar view is wonderful. Sitting on the upper deck watching the gulf may be one of the most relaxing moments I can recall. The set up of the house is great with four bedrooms, four bathrooms and 5 tv's !!! Location is wonderful, beach was perfect and overall wonderful vacation. We will be back and thank you again to the home owners for having and sharing such a wonderful home. Our three-generation family had a lovely stay in a beautiful, perfectly situated home. We'd be delighted to rent this house again! Wine Down is a great house with four bedrooms and four baths. It is really nice for daughters and son-in-laws to have there on bedrooms. The beach view from the deck is great. 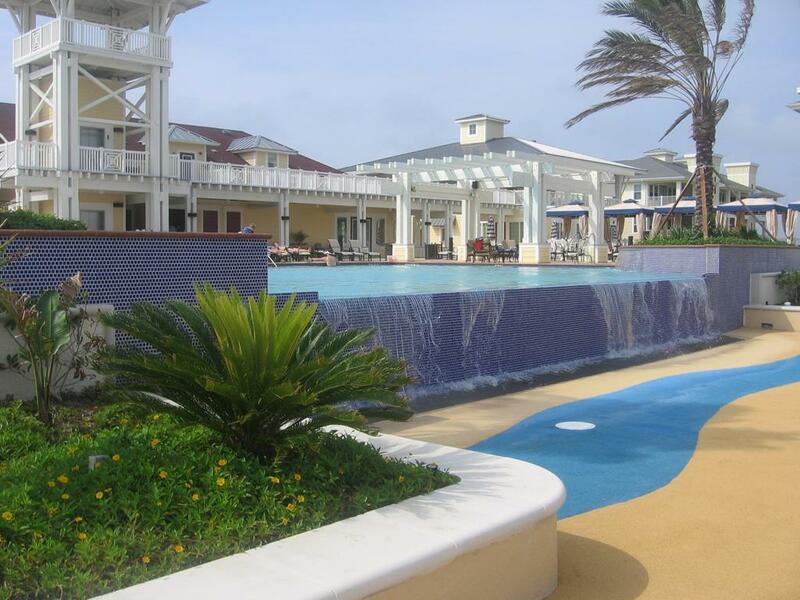 The pool on the bay side was enjoyed by our grandkids. This house is great. It has everything you need when cooking. All of the beds are very comfortable. I really could not list anything that it did not have that we needed. We have rented this house for the past three years and plan on renting it again next year. We love it. All of the agents at Sand N Sea are so nice. 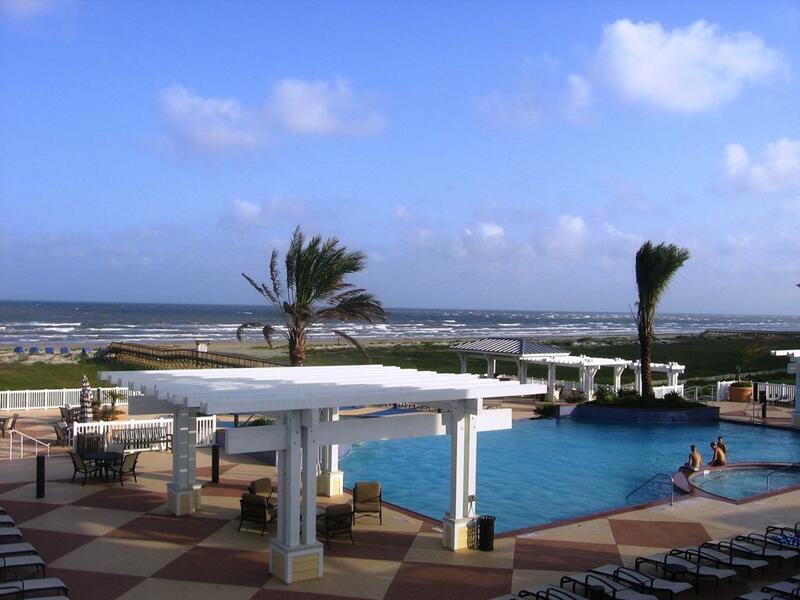 We had a very nice time at the Pointe West area in Galveston. Wine Down was conveniently located to the beach, and was a good size for 2 families, with 1 small child each. We were a little disappointed that the furnishings and downstairs carpets were as worn as they were, but besides that, the property was reasonably clean and well equipped for a week long stay. We really enjoyed all that there was to do for little ones at Pointe West. One definite drawback, but also an advantage in some ways, is the Pointe West area is very far from the city-center of Galveston. It's a good 20-30 minutes to town, and there aren't many places to eat on the west end of the island. There is a great grocery store that is small but has most everything you would need nearby. Overall, we had a very positive experience with our stay. I thought the space was great. The amenities were wonderful. We used this home as our gathering place. Our only complaint is that the dining chairs are upholstered in a white fabric and we worried about keeping them clean. Beautiful home with million dollar views. Right on the beach with only a few steps to the walk over and your on a vehicle free pristine beach. Pointe West amenities were a drive away so you don't really take advantage of them, although I did work out a few times in the fitness center which was adequate at best. The infinity pool and lazy river looked really small and the Beach Club looked more like a room with a grill stand in it. That said we went for the house and the beach and it was great. The decor is very coastal and beachy. Everyone gets there own room and own tv and own bathroom,, plenty of room and great private beach. Set up your tent and you can leave it there all week on the beach. Make the trip into town to get food and then relax and enjoy, you won't be dissapointed. This house is our family's favorite because of the size and 4 bathrooms, but also it includes the beautiful resort benefits! It is an awesome place for all the different ages of our family! Super fun! Wine Down was very nice, size of the bedrooms and bathrooms were perfect for our family. We wish the living area was a little bigger, but all in all we had a good experience. The access to the beach house was WONDERFUL.